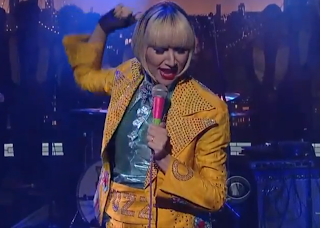 Yeah Yeah Yeahs made their first television appearance in support of their new album Mosquito on Friday night’s episode of Late Show with David Letterman. 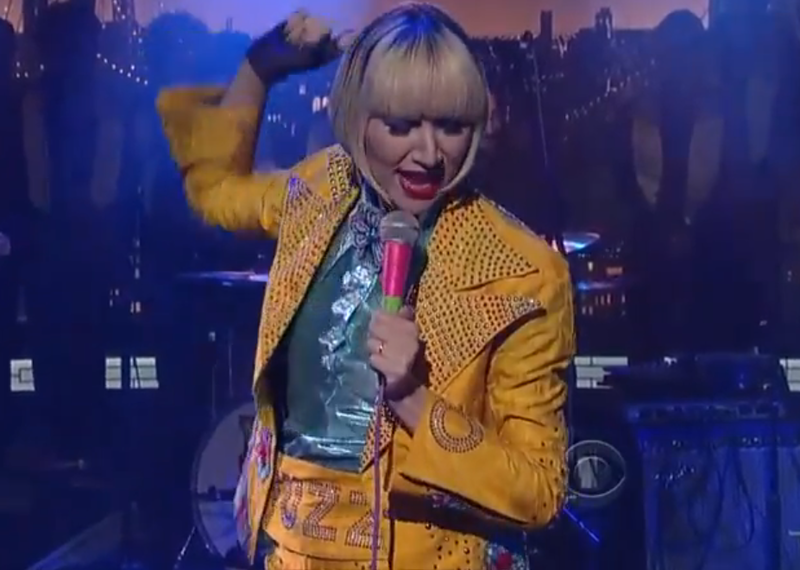 Karen O, Nick Zinner, Brian Chase, and David Pajo performed their mighty lead single “Sacrilege” alongside gospel ensemble Broadway Inspirational Voices, and Dave seemed to enjoy it all a lot more than the previous night’s performance. Mosquito arrives April 16th via Interscope and pre-orders are ongoing. Want an early stream? Head here.